Obverse: Effigy of the Republic, portrayed as a sculpture. The inscription: "REPÚBLICA FEDERATIVA DO BRASIL" (Federative Republic of Brazil) at upper center. 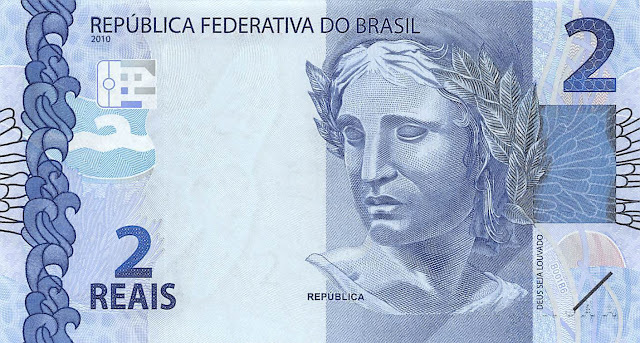 The face value of the banknote"2 REAIS" 2 REALS at bottom left and it also has a large numeral at upper right. Reverse: Picture of a Hawksbill Sea Turtle (Eretmochelys imbricata), one of the five sea turtle species found in the Brazilian coast. TARTARUGA MARINHA - Hawksbill Sea Turtles swimming among corals and starfish. The bank name: "BANCO CENTRAL DO BRASIL" (Central Bank of Brazil) at upper left. 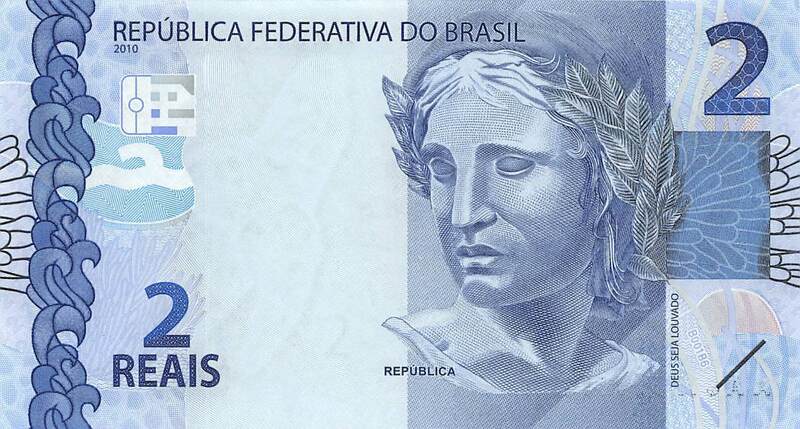 The face value "2" at upper left & right and in words "DOIS REAIS" (TWO REALS) at bottom right. Signatures: Guido Mantega (MINISTRO DA FAZENDA - Minister of Finance) and Alexandre Antonio Tombini (PRESIDENTE DO BANCO CENTRAL DO BRASIL - President of the Central Bank of Brazil). 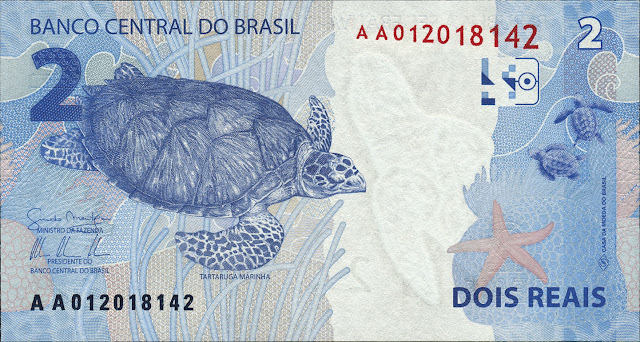 Watermark: Hawksbill Sea Turtle and electrotype 2. Dimensions: 121 mm × 65 mm. Date of first issue: 29 July 2013.